Every week, the Bureau of Development Services publishes lists of Early Assistance applications, Land Use Reviews and Building Permits processed in the previous week. We publish the highlights. This post covers January 15th to January 21st, 2018. DESIGN HEARING – Current Code: Request for a Design Advice for a six story mixed use building including approx. 10,000 SF of ground floor retail, 9,000 SF of second floor office space and 75 apartments units including affordable housing units and 60 surface parking spaces. Future code: Proposal is for new 91 unit studio apartment building. 4-story, type VA construction. Stormwater will be rylnaged through green roof and discharged to city system. Future code: Proposal is to develop the property to accommodate a new +42,000 gsf clinic, a 52 unit senior housing building, and associated (shared) parking and landscaping. The senior housing project will likely be developed by another entity, and the site would be divided in order to allow for separate ownership and include a shared use agreement for the parking. No current plan for stormwater disposal at this time. This site/project isn’t affected by the comp plan/zoning changes taking effect in May 2018. Construction of six (6) 2-story buildings (townhomes and duplexes) of affordable housing (41 units units). The largest building is 26 apartments with community space and resident services spaces. New access drive with easement to 162nd. Stormwater treated on site with drywells, swales, and/or rain gardens. Future code: Proposal is for 60 apartments including afordable units. Amenity and retail space. A Pre-Application Conference to discuss construction of the Portland River Center. This facility will be operated by The Portland Boathouse, a non-profit organization. 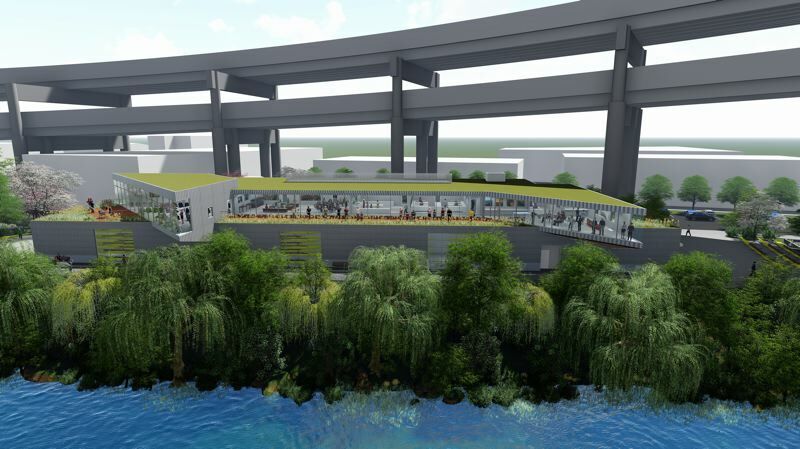 The facility will contain boat storage and staging areas, educational classrooms, a small office, workout spaces with showers and restrooms, and interior and exterior river-viewing areas. The building will have 29,000 square feet of floor area in a two story building and is located partially in the Willamette Greenway Setback. Future code info for the rebuild Lincoln High School (demo and replace building). They will need a Type III DZ. 100-day review timeline: Construction of new 4-story workforce housing building with 175 units of affordable housing (all units), a community space, courtyard, two offices for support staff and 43 car parking spaces. They will be meeting community design standards. Adjustment requested for Loading Standards Placement, Setback and Landscaping (33.266.310.E). New 12 unit 2 story apartment building, includes pre-fab trash enclosure and associated sitework.